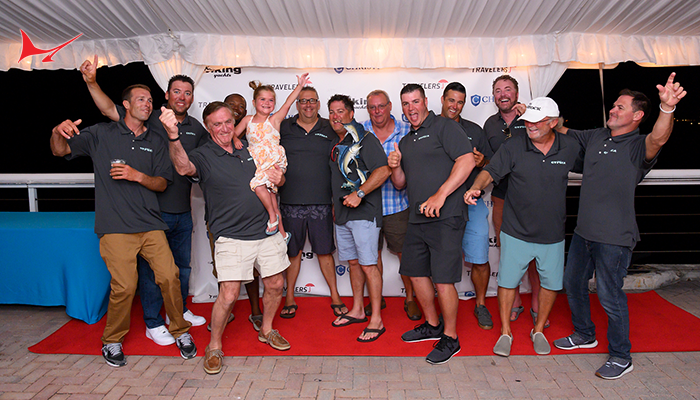 Abaco Beach Resort and Boat Harbour Marina, Marsh Harbour, Bahamas – With a five-day, 15th Anniversary celebration, Captain Skip Smith kicked off his annual famed Custom Shootout with a crew party to “kick-off the kick-off,” which took place the next day. 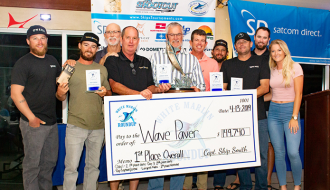 As the rum flowed and the Bushwhacker’s whirled, the crews took the night to visit with old friends and meet new competitors – in a display of true fisherman comradery that Smith’s “Elite Fleet” is known for. 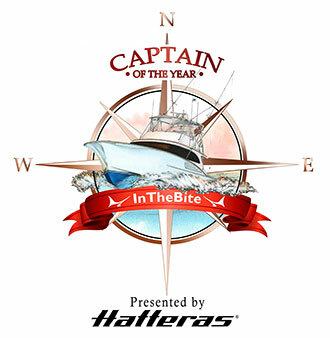 Sponsored by SatCom Direct, a leader in today’s marine, aviation and land mobile communications satellite technology, the Captain’s Meeting was underway and the tent was buzzing. 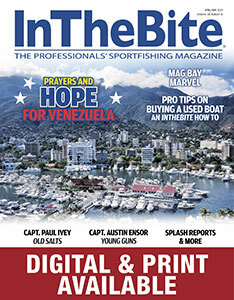 Coming off an “epic” bite in the White Marlin Roundup, the teams were anxious to hit the edge in hopes to take a swing at the 2016 Custom Shootout title, a position that could possibly rival all other tournament wins combined in this hemisphere. As unique as the tournament itself, the boat list truly exudes quality, top performance, and beauty. With near-perfect conditions, the fleet headed out on day one to take advantage of the lingering Roundup bite. At the half-day mark, 28 billfish had been released and Captain Nate Benz on the Spencer Yachts team TWO CATS were two whites and a sail into their one-day grand slam, in which an afternoon blue marlin for angler Mark Donahue secured Caterpillar dealer Doug Fabick’s team the 400-point slam bonus and the day one win. That afternoon, Captain Kevin “KP” Paul of the Paul Mann Custom Boats team LO QUE SEA was hot on the CAT’s tail, but their lines-out blue came too late and the Paul Mann team settled for the second place daily win with a blue, a double white marlin, and a sailfish release all in the last three hours of the fishing day. Without a fish on the board, Spencer Yachts’ team GRATITUDE, with Captain Daniel Spencer at helm, started off their second day with a blue marlin release an hour after lines in. Spencer, in a fit of strategy, continued to target each species one-by-one and returned to their slip with the day two win and a grand slam. Since the bite had spread out around the fleet, Captain Jimmy Werling, although needing a bonus blue marlin for their own day two slam, opted to target whites when the last of ten blues caught on day two, shut down the blue bite. Catching five whites, one sail and netting 800 points, Spencer Yachts team PLANE SIMPLE came in second on the daily. On Friday night, Captain Skip Smith honored each of the 11 guest builders with a gift from the tournament and a short story to commemorate their attendance, in which a standing ovation followed. Never in tournament history has a brand been able to gather so many custom boat builders at once – an occurrence which Smith says he’s lucky…and grateful. the Forbes’ team enough white marlin points to win Captain David Grubbs the daily, while PLANE SIMPLE and BEAR TRAP battled for the second place daily, one-upping each other fish by fish. 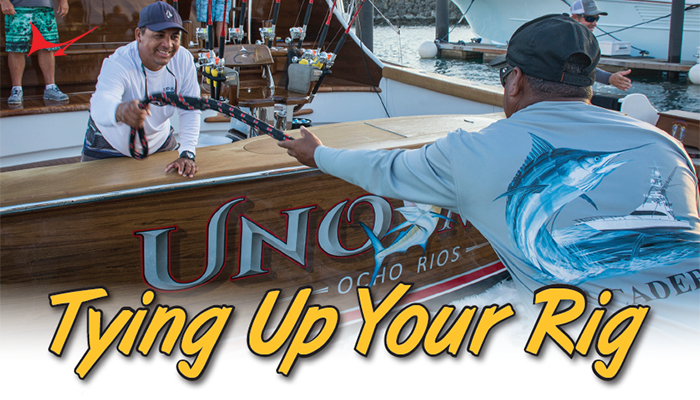 But in the end, it was ISLEÑA – Edward Becker’s Rybovich – whose grand slam bonus sent them to the stage for the day three second place daily, and a total of 60 released billfish for the fleet. The game fish winners included Jim Takats of the 65’ American CHASIN’ TAIL with his 30-pound Mahi, Mr. Clark Beaty of the 58’ Merritt SWEET THING with his 15.6-pound Yellowfin and an 89.4-pound Wahoo took the trophy for Doug Fabick’s Spencer boat, TWO CATS. The awards banquet began with recognition of the sponsors, then the volunteers, whom without such an event could not be possible. 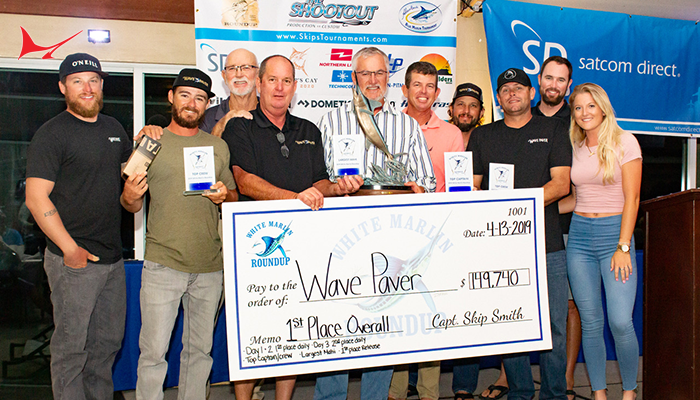 With an approximate $100,000 raised and donated to charities such as the Breast Cancer Research Foundation and the Wounded Warrior Project, Skip Smith and his Custom Shootout provides a vehicle to which the sportfishing community can give back year after year – a very important endowment for any sport. 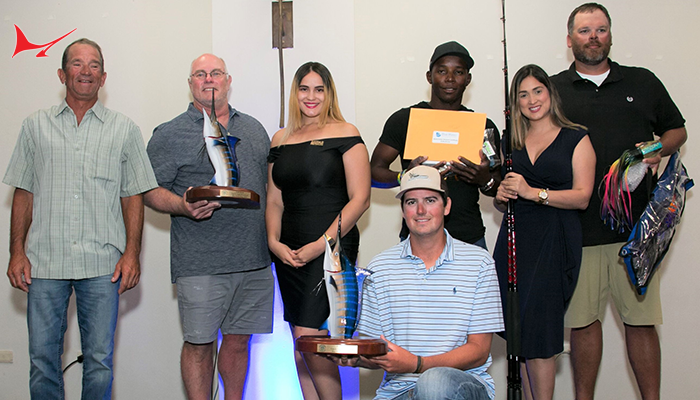 Smith reviewed the milestones of the Tournament and called the winners to the stage: Top Boat, Top Crew, Top Angler and back-to-back Custom Shootout wins went to Captain Kevin Paul and Owner/Angler Tony Huerta’s 58 Paul Mann LO QUE SEA with 1,900 points. Second place went to Captain Nate Benz and his Spencer Yachts team TWO CATS, with 1850 points, and in third place with 1,650 points was BEAR TRAP, a 66 Spencer Yacht skippered by Captain Ed Dwyer. 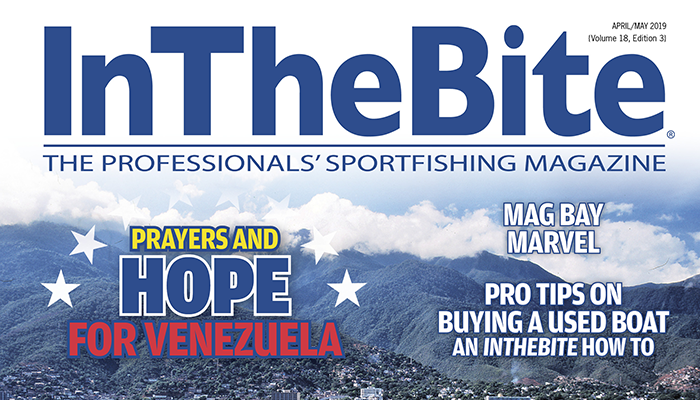 With a record-breaking 178 billfish releases for the tournament, including several grand slams, the 52-boat fleet made quick work of “one of the best [billfish] bites on record for Abaco.” Plans are already in progress for next year’s event. For information on the Custom Shootout and other Skip’s Tournaments, please visit www.skipstournaments.com.